Fozia Soomro Sindhi Folk Music Singer. She was born on 1966 in Weera Wah Village Karoser Therparker Sindh, her original name was "Hakeema" She got musical training from Ghulam Hussain Kaleri, "Dholak Master". He was most popular Sindhi Classical Music Singer. She has sung super hit Sindhi and Marwari Songs and also she sung in Sindhi language. She was well known Artist of Sindh and she create great name in Sindhi Music. Sindhi peoples listen her great songs time to time in different "Mehfils" and other Festivals. Her sweet sound attractive the hearts and now every time her Sindhi Old Songs played in the streets, Shops, Hotels and Vehicles. She sung poetry of most popular Sindhi poets and great Sindhi Folk Music. She was got "Shah Latif Award", Radio Excellence Award, Syed Misri Shah Award. She was popular Artist of Radio Pakistan and Pakistan Television and other local Channels and she sung Sindhi songs with great styles, she sung Sindhi Arfana Kalam, Lok Geet and Sehra are still popular in marriage ceremonies of Sindh. I have selected below most popular Fozia Soomro old songs. She was popular with Sindhi Folk Music, Sindhi Classical Music and more top Sindhi Pop Music. 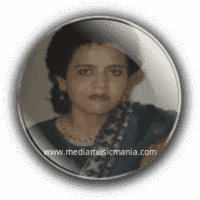 Fozia Soomro was popular specially for Marwari songs, Sindhi Lok Music and other songs which she sung any time. She sung poetry of very popular Sindhi Poets such as "Hazrat Shah Abdul Latif Bhitai R.A", "Ali Muhammad Uderai" "Bilawal Otho and other popular Sindhi poets. This great Artist of Sindh was died on 04 September 2002.